Know the way in style with Skyland HD Road Signs. Featuring 2k/2k graphics that you'll swear are 4k. 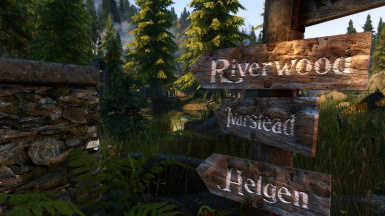 All original handmade textures featuring the Skyland Wood textures found in other Skyland mods. 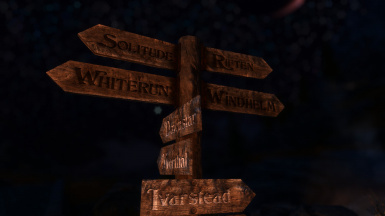 Each sign is aged to show wear and the a fantasy style font is used to keep with the overall game style. 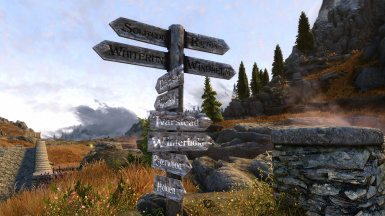 Know your way around Skyrim in style with Skyland HD Road Signs. Featuring 2k/2k graphics that you'll swear are 4k. 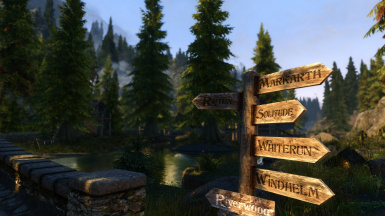 All original handmade textures featuring the Skyland Wood textures found in other Skyland mods. 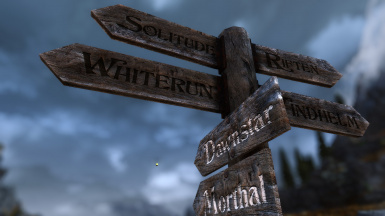 Each sign is aged to show wear and the a fantasy style font is used to keep with the overall game style. Manually install by downloading the zip file and unzipping the contents of the data folder into your game data folder. 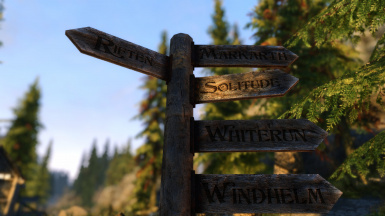 Uninstall: Using your mod manager, simply right click and select "Uninstall mod"
Compatiblity: With everything including Point The Way and Cutting Room Floor. If you find a compatibility issue, please kindly let me know so I can fix it ASAP.